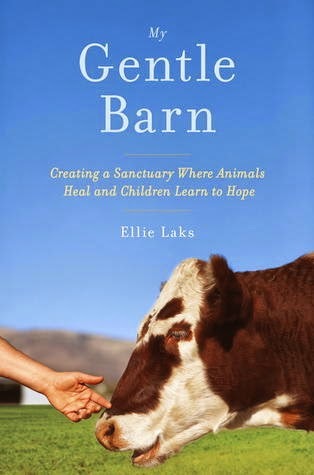 From Goodreads ~ Founder Ellie Laks started The Gentle Barn after adopting a sick goat from a run-down petting zoo in 1999. Some two hundred animals later (including chickens, horses, pigs, cows, rabbits, emus, and more), The Gentle Barn has become an extraordinary nonprofit that brings together a volunteer staff of community members and at-risk teens to rehabilitate abandoned and/or abused animals. As Ellie teaches the volunteers to care for the animals, they learn a new language of healing that works wonders on the humans as well. My Gentle Barn weaves together the story of how the Barn came to be what it is today with Ellie's own journey. Filled with heartwarming animal stories and inspiring recoveries, The Gentle Barn is a feel-good account that will delight animal lovers and memoir readers alike. Ellie didn't have a happy childhood and turned to her pets for comfort. Her parents weren't animal lovers and her pets would disappear and her parents wouldn't understand why she would get so upset. She swore that when she became an adult that animals would always be part of her life (she became a dog rescuer). She eventually got married and had a son and put her profession on hold to be a wife and a mom. The over 160 farm animals that reside at The Gentle Barn have all been rescued from severe abuse, neglect, abandonment or worse. They have been rehabilitated with traditional and non-traditional medicine, top quality nutrition and countless hours in the arms of our staff and volunteers. They have regained their trust in humankind by realizing that they are now loved, and their abuse is over. Because of their ongoing physical and psychological needs, they can't be adopted and are given sanctuary with us for the rest of their lives. We are home to horses, donkeys, cows, pigs, sheep, goats, turkeys, chickens, llamas, dogs, and cats. We believe that everyone deserves a chance at life, regardless if they are blind, crippled, deformed, sick, wounded or just old. Because the animals at The Gentle Barn have experienced abuse and severe neglect, their treatment and rehabilitation is extremely expensive and can take a long time. But it is worth it to see them smile again, to watch their eyes light up, to feel them cuddle in your lap, and to see them play with new life and new hope. Once rehabilitated, the animals become ambassadors, teaching children about the magic and grace of these precious beings. I love reading books about animals and enjoyed this one. It starts with Ellie's unhappy childhood and we see her grow to be the person she is today, fulfilling her dreams of being surrounded by animals. 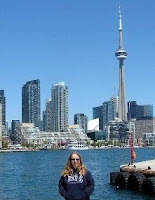 Despite all obstacles (financial, the time necessary to care for the animals, loss of relationships, etc. ), she never gave up helping animals in need. I felt bad for her husband, Scott, though. When they met, they shared a love of animals but neither realized how extreme her dedication would become. Eventually she was pushed to make a choice between Scott and the animals and Scott lost. But fortunately for Ellie, she ended up meeting Jay, who shared her goals and helped grow The Gentle Barn into what it is today. I liked the writing style and found it to be honest. I felt that Ellie had an inspiring story to tell. Each of the animals has a story of how they ended up at The Gentle Barn. I love animals and admire her dedication to help them. Animal lovers will love this book! this is so amazing - If I could do anything in the world this is exactly what I would do - thanks for sharing Teena - can't wait to read the book and buy some as gifts. You'll like it, LeeAnn, since I think you'd told me that if you ever won the lottery, you'd open something similar to this.